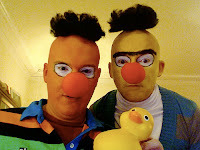 Halloween Fun with Brooklyn Celebs! Borough President Marty Markowitz, vampire, trapped in a crystal ball. 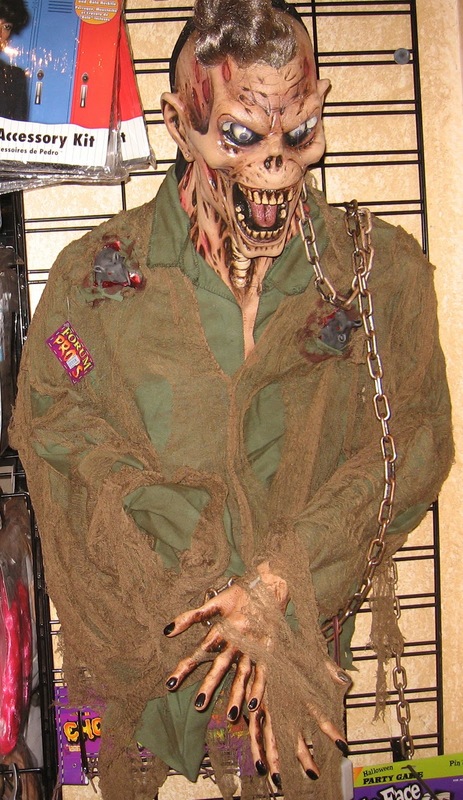 Bruce Ratner, zombie, with cool eyeballs. Carl Paladino, running (for governor) and hiding (from the Brooklyn Orthodox Jewish community). Oh, that Walt! He always cracks us up. Photo of Bruce Ratner from Gothamist from the NY Post. 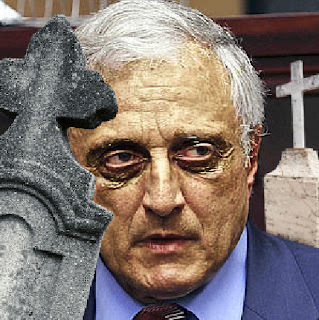 Photo of Carl Paladino from the NY Post. Photo of Walt Whitman from Wikipedia. 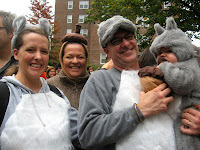 Carroll Gardens Halloween Parade: This is an early one! Gather at 12:30 p.m. in Carroll Park and parade up Smith Street toward Warren Street, then back down Court Street to the park. 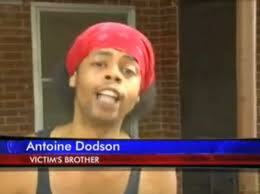 The first 100 kids to show up will receive free noisemakers. 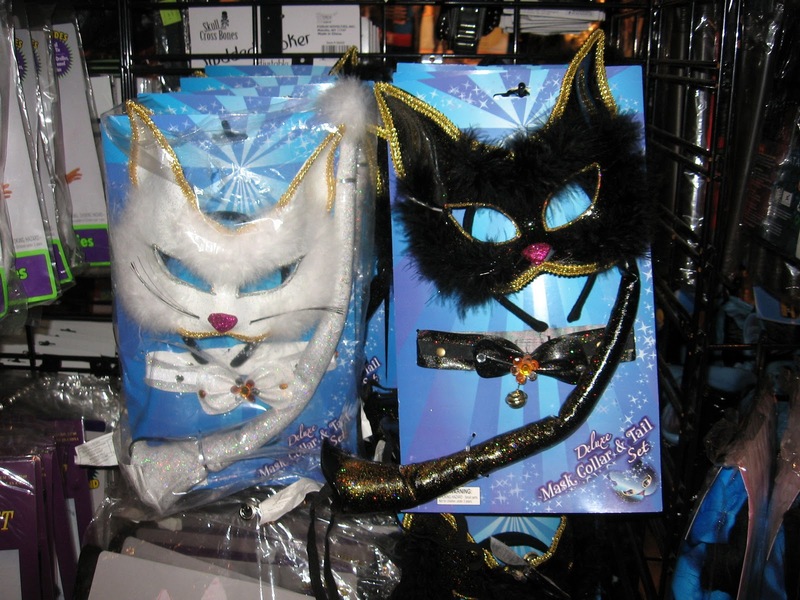 Cobble Hill Halloween Parade, Cobble Hill Park, 4 p.m. Join the costume parade behind the Jah Pan Steel Drum Band, then trick-or-treat around the neighborhood. 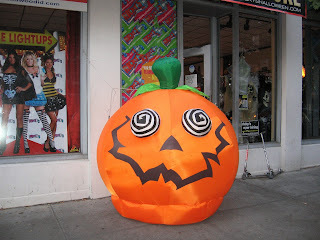 Park Slope Halloween Parade: A Big One! 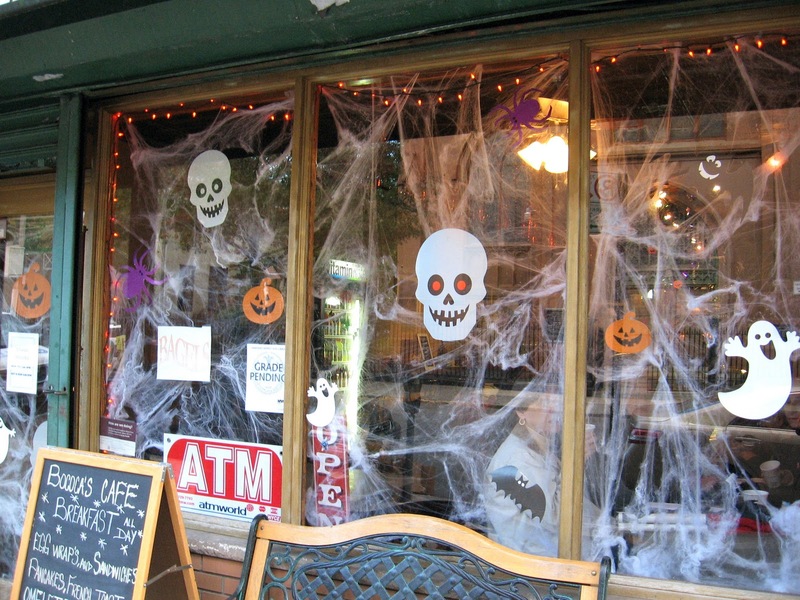 this year’s theme is “Fairy Tales.” At 4 p.m. the Park Slope Civic Council’s Halloween Costume Contest will begin at 7th Avenue between Fourth and Fifth streets. After the contest, enjoy Ethan’s Motley Rockin’ Show. The main parade kicks off at 6:30 p.m. at the corner of Seventh Avenue and 14th Street and ends at Washington Park (formerly JJ Byrne Park), where the revelry will continue until 9 p.m. with music by Paprika, Hearts of Steel and the Famous Accordion Orchestra. 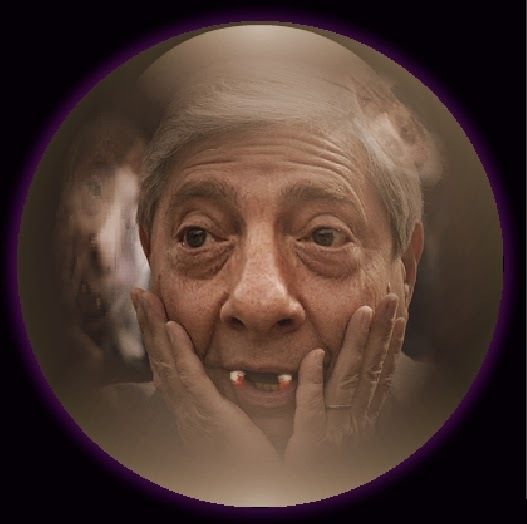 Witches’ Walk Halloween Parade In Williamsburg: Kids activities from 2-4:30 p.m. Meet at Flying Squirrel (96 North Sixth St. between Berry Street and Wythe Avenue) to get a free portrait taken by photographer, Rachel Elkind. 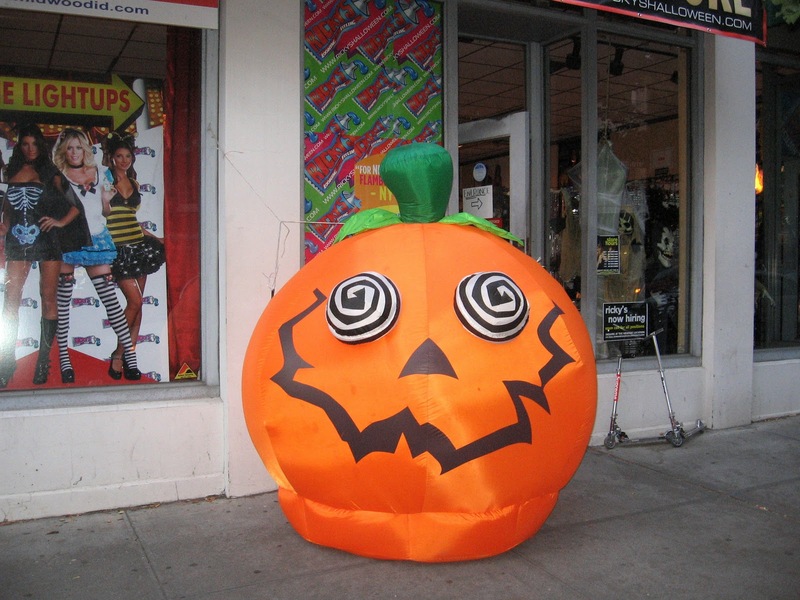 Witches Walk Parade from 4:45 to 5:15 p.m. from N. Sixth Street and Bedford Avenue towards McCarren Park. 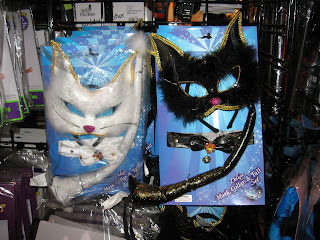 End of parade party at Play at 33 Nassau Ave., 5:15 to 6:30 p.m. Call the Flying Squirrel at (718) 218-7775. Ditmas Park West Midwood Halloween Parade: Meet where B/Q train lets out at Glenwood Road off Rugby. Parade proceeds down Glenwood Road to Westminster Road, passing through heart of Ditmas Park. 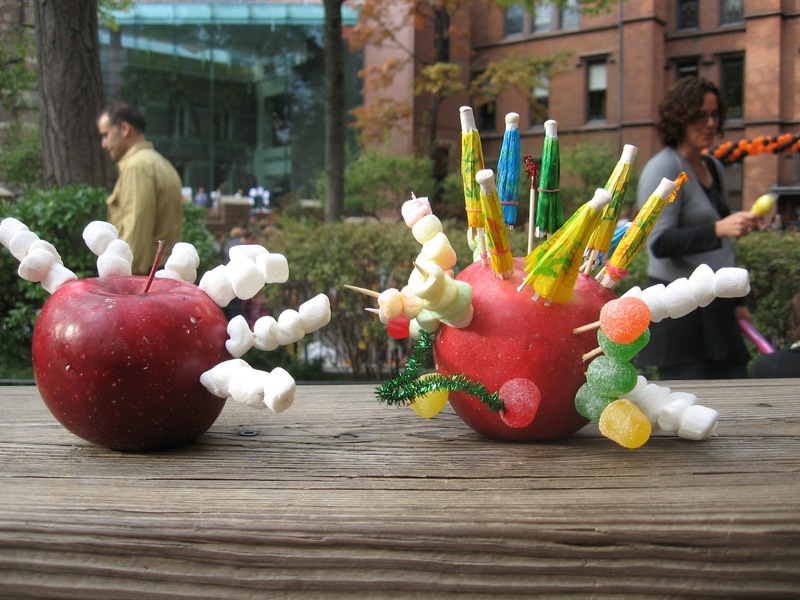 Sweets and cider at 6 p.m., parade begins around 6:30 p.m. 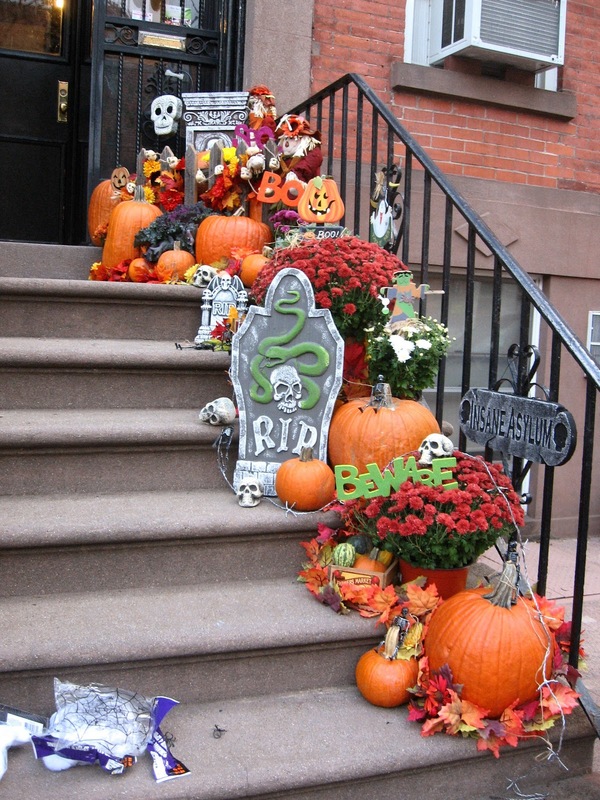 There are more Brooklyn Halloween events, parties, spook houses, etc. listed here. Ernie and Bert by Chattingjason, Creative Commons license. This is the first time we've ever actually seen the freakin' end of a rainbow. 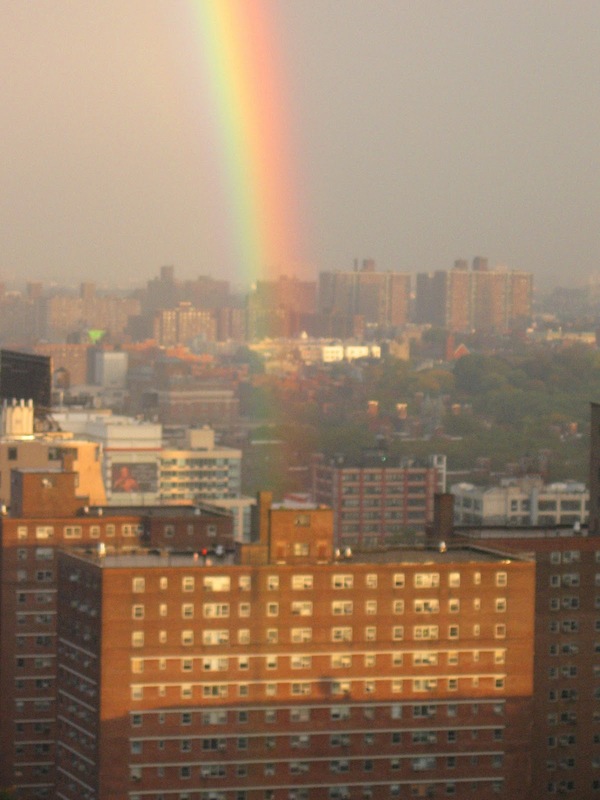 Yesterday's gigantic rainbow stretched all the way from somewhere in Manhattan to smack dab on top of this co-op building, part of Concord Village in Downtown Brooklyn. J. Peter Flemming has written a terrific letter to Nanette Smith, special assistant to Mayor Bloomberg, about the proposal to turn DUMBO's Tobacco Warehouse into a theater for commercial productions. 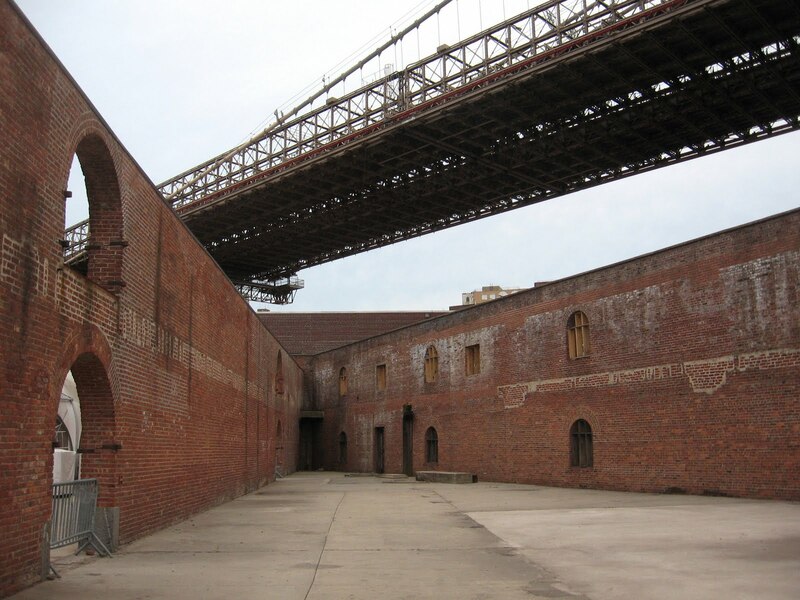 The idea that we should be grateful that your [Brooklyn Bridge Park] Board will have taken advantage of our communities’ and our then elected officials’ and the Landmarks Conservancy’s remarkable efforts in the late ’90s to save the Tobacco Inspection Warehouse as an historic and visually stunning “ruin” — to hand both the structure and the iconic site over to one private entity — for free — for it to construct a “cultural facility” now outside the Park, not a “part” of the Park, is completely disingenuous and quite insulting . . .
Galapagos Art Space is sending an artist to Switzerland for six months. Are you that artist? Natural Selection: Artists in Residence. Galapagos has partnered with IAAB, the International Exchange and Studio Program of the Canton of Basel, Switzerland, to each year offer an artist from New York City the opportunity to spend six months near Basel, in the Swiss countryside town of Riehen. In turn, we'll host a Swiss artist here. The studio is situated in one of the old estate buildings on the "Berowergut", just next door to the Beyeler. When the barns located on the "Berowergut" were renovated and the Kunst Raum Riehen was installed, the old coach house at the back was converted into a two-story live-in studio. The deadline for submissions is November 5th. Brooklyn-based artist Eric Corriel has a new video installation up in Dumbo called Dumbo Underwater. Inspired by issues relating to climate change, DUMBO Underwater imagines what it might feel like if sea levels rose to the point where parts of New York City found themselves underwater. It will be up every night from sundown to sunrise until November 15th, 2010. See Eric's website for more info. Those hungry Zombie Librarians from Urban Librarians Unite wrote to us to announce a Halloween Zombie Walk in support of New York City's public libraries, to be held October 31, 11 a.m. - 3 p.m. beginning at Cadman Plaza, Brooklyn and continuing over the Brooklyn Bridge and ending at New York City Hall. The Halloween Zombie Walk brings library-loving New Yorkers together for a day of public theater to draw public attention to the mid-year budget cuts faced by New York City's public libraries. What does any of this have to do with zombies? 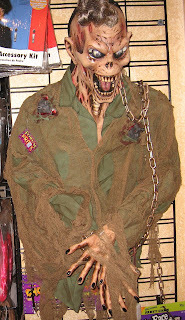 Simple: without libraries there are no brains, and zombies need to eat brains to live. 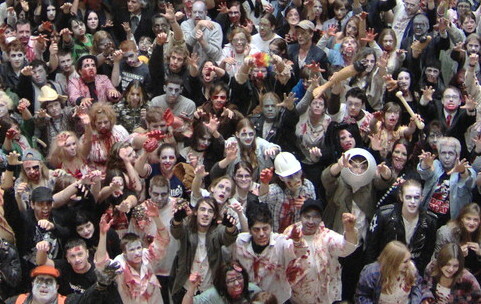 With libraries across the city closed on weekends there is a desperate zombie food shortage. So New York City’s zombie librarians will be walking across the Brooklyn Bridge to City Hall to protest the drastic cuts to their food supply. These zombies are starving and without the support of the public library their future appears grim. 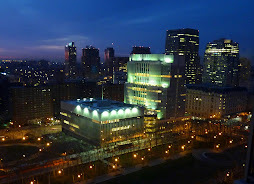 New York City's three library systems serve 8 million residents from 212 locations, numbering over 43 million visits in FY'09. Since the economic crisis began, library use has been at an all-time high, with many New Yorkers depending on their local library for access to the information, resources, and programs necessary to conduct job searches, complete their education, navigate the Internet, and access public services. Mayor Bloomberg’s projected mid-year budget adjustment will cut funding for libraries by $16.5 million - 5.4% across the board. This comes on the heels of a devastating August reduction of $30 million that decimated weekend library service. Three years of brutal cuts during the biggest economic crisis in a generation have reduced public library funding by a shocking $74.5 million since 2008, or 20%. Unless Mayor Bloomberg and the City Council maintain funding, libraries' ability to provide New Yorkers with job search help, afterschool tutoring, computer access and instruction, English classes, and research assistance will be sharply reduced by December 2010. Dress in your bookish zombie best and march/shamble your way to City Hall to support your local library and feed your brain. The Gregory Brothers: Following their YouTube hits, Double Rainbow and Bed Intruder, BIT visits the Auto-Tune masters – three brothers and one wife – in their Williamsburg studio. Artist to Artist: Gustave Blache III’s paintings feature everyday people at work, in a light-filled style that takes you back 150 years. The photographs of his friend (and fellow School of Visual Arts alum) Kareem Black are as edgy and topical as could be. Da Beatminerz: Hard at work in Da Bushwick, these Gold Record hip-hop producers have their own Beatminerz Radio station. Join them as they create one of the multitude of beats they’re famous for. Sangram Majumdar: This painter—born in India, educated in Rhode Island and Indiana, living in Brooklyn – talks while he works out a new idea. 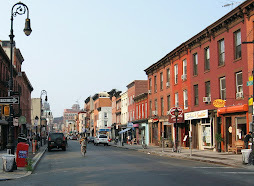 The Brooklyn Eagle reports that those police helicopters buzzing over Brooklyn Heights yesterday morning were related to the robbery that took place at the Radio Shack on Montague Street. The Eagle reports that the robbers -- holding an employee at gunpoint -- cleaned out the cash register and stole several iPods. It’s believed the crooks also used an UPS truck to drive out of the neighborhood. Enjoy cocktails - including Blood and Sand, a signature Halloween cocktail provided by Highland Park Scotch Whiskey, music, dancing, a costume contest, video decoration by local artist Geoff Matters, festive atmosphere and more. All proceeds support free public programming in Brooklyn Bridge Park. 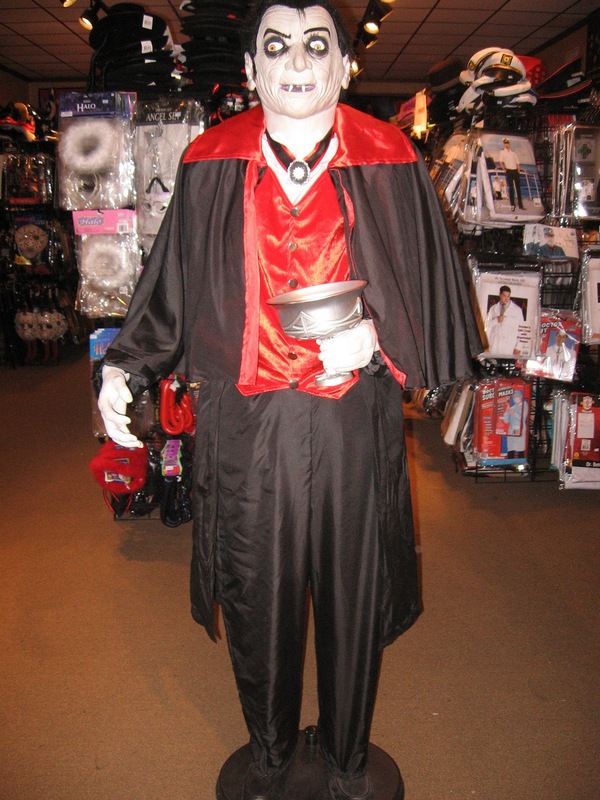 All ticket prices include admission, drinks, music, food, dancing and costume contest. 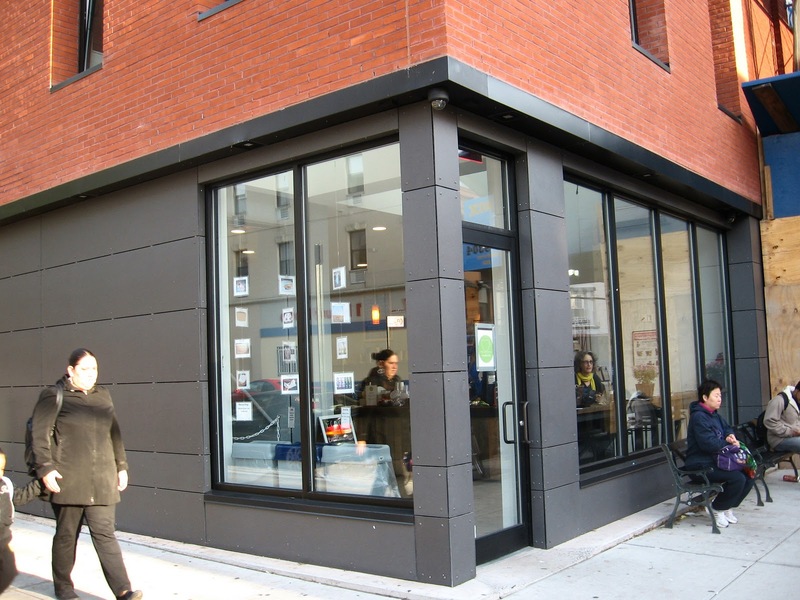 The Radio Shack on Montague Street in Brooklyn Heights was robbed in a brazen Tuesday morning heist, according to the Brooklyn Eagle. The Eagle says that the robbers used a UPS truck and may have worn UPS uniforms. In case you weren't aware of it, Halloween is coming. People seem to be throwing themselves into it a bit more than usual this year. 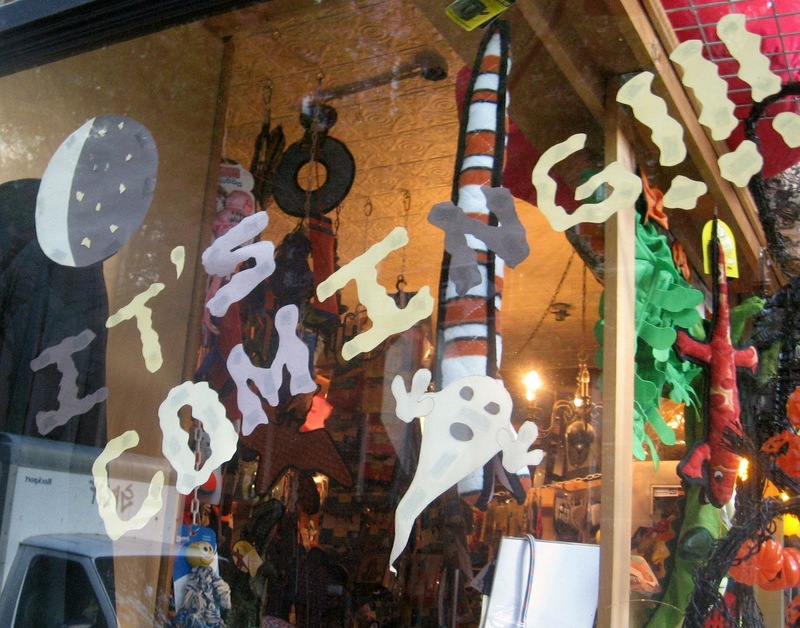 The window at Perfect Paws in Brooklyn Heights (don't forget the Howl-o-Ween Doggie Costume Parade this Saturday!) features a pumpkin bearing the words, "Trick or Treat, Smell My Feet." 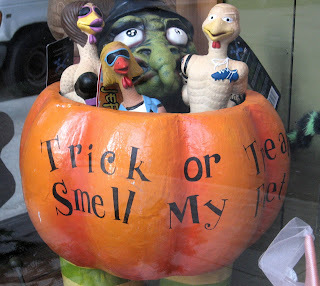 It's stuffed with rubber chickens and a witch. 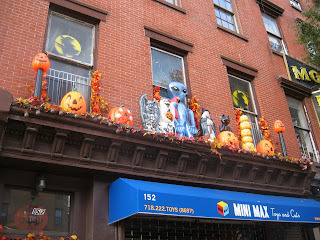 This window ledge on Atlantic Avenue always puts on a good display, no matter the holiday. They weren't quite finished with this stairway but it's shaping up nicely. Maybe the scariest thing in this window is the "Grade Pending" sign. If you need a costume or a wig, better get it now. 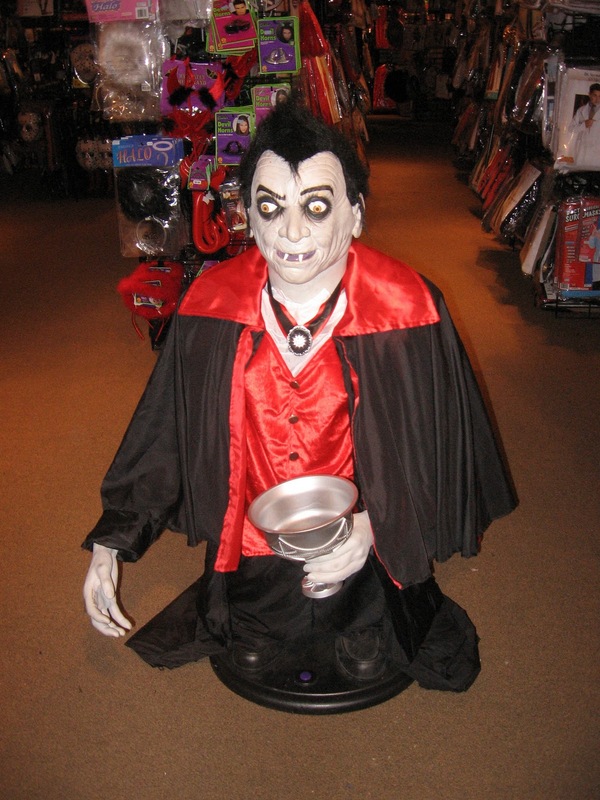 You know how those lines get at Ricky's right before Halloween! Ricky always goes out of his way to make you feel comfortable. There he is again, a little taller this time. 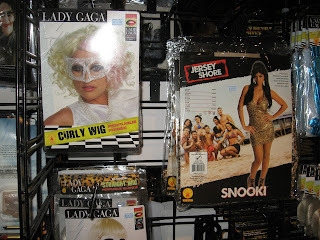 An employee said that the most popular costumes are Lady Gaga and Snooki. But we liked these best. Gay groups have publicized a petition demanding answers from Gold's Gym about the $2 million donated by its owner -- Robert Rowling -- to American Crossroads, Salon reports. American Crossroads, says Salon, is spending millions to elect GOP candidates who are anti-gay -- like Roy Blunt, who wants to rewrite the U.S. Constitution to ban gay marriage. Gold's Gyms are located all across the country. 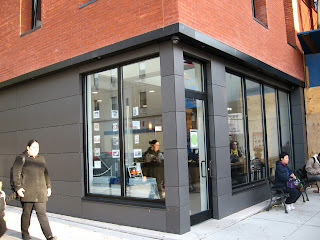 Pictured above is the gym on Livingston Street in Downtown Brooklyn, one of two Gold's Gyms in Brooklyn. The petition says that Gold's "markets and caters to LGBT customers," but unfortunately, "the candidates that Rowling's money is being used to elect are some of the most vehemently anti-gay politicians in the country." 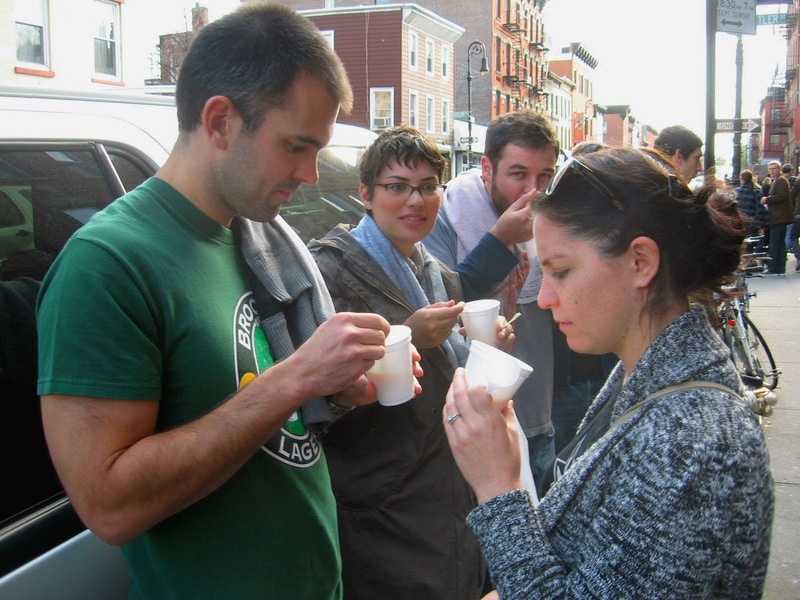 What a great idea -- the Smith Street Soup Festival was a blast and the soups were outstanding. Saturday afternoon crowds of people walked up and down Smith Street in Boerum Hill, getting little cups of soup at 21 participating Smith Street restaurants. We sampled delicious pasta fagiole from Lunetta, spinach and lentil soup from Bar Tabac (shown above), mulligatawny from Raga, lobster bisque from Verde, a creamy vegetable soup from Athena and many more. All it cost was $5 for a little blue wristband. 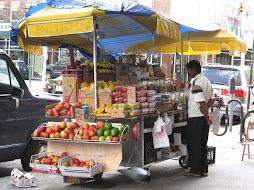 Some restaurants set up tables on the sidewalk, while others set up inside. 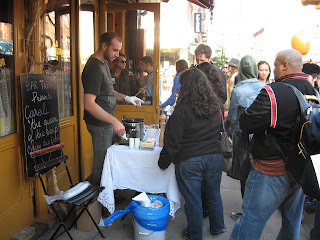 There were long lines in front of many but they moved very fast (it was just soup, after all). The lines attracted more soup eaters who wanted to know, "What's going on here? How do we get some soup?" The restaurants started running out a little early. They probably didn't anticipate how popular this event was going to be. 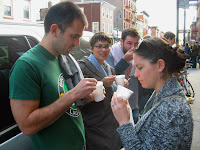 The Soup Festival -- instigated by Bette Stoltz, of the South Brooklyn LDC -- was a benefit for the HS For International Studies Culinary Arts Program and the South Brooklyn LDC. UPDATE: PMFA has the winners of the gold and silver "ladels" here. This weekend was just full of kid-friendly Halloween-themed activities in Brooklyn, and the weather gods smiled down on all of them. 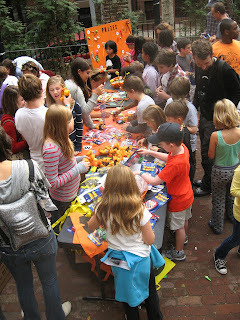 Here are a few photos from a Brooklyn Heights favorite, Packer's annual Pumpkin Patch. 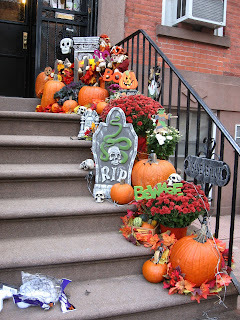 Every year the Pumpkin Patch takes over Joralemon Street, several floors at Packer Collegiate Institute and the back school yard. Kids decorated apples with marshmallows, gumdrops and the ever popular cocktail umbrellas. 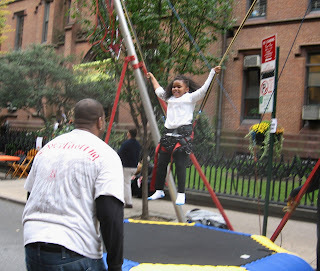 Joralemon Street was full of bouncy rides and carnival games. Every year we wish we could do this one. The Packer PTA puts unbelievable effort into the Pumpkin Patch. 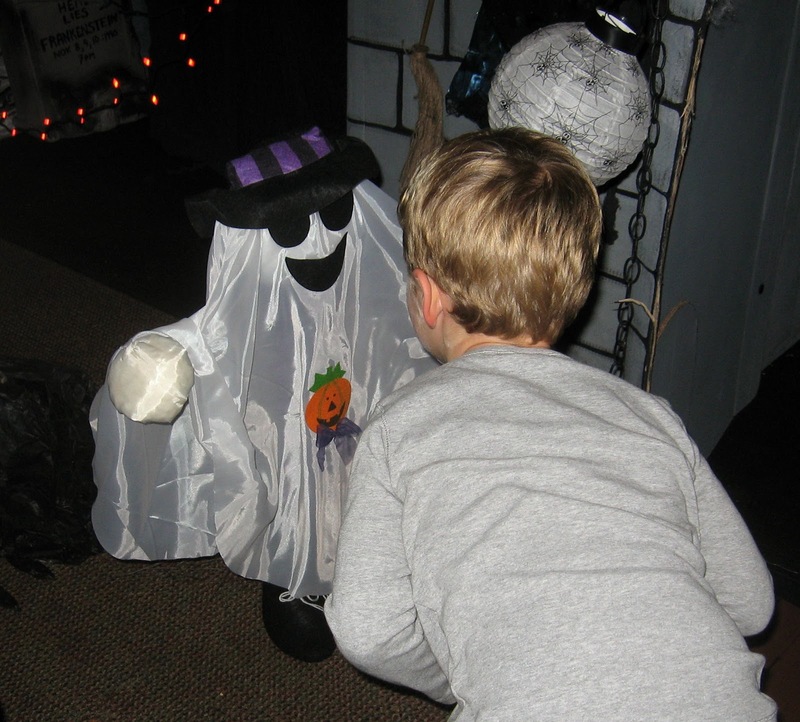 This boy had a conversation with a friendly little ghost at one of not one but two haunted houses. 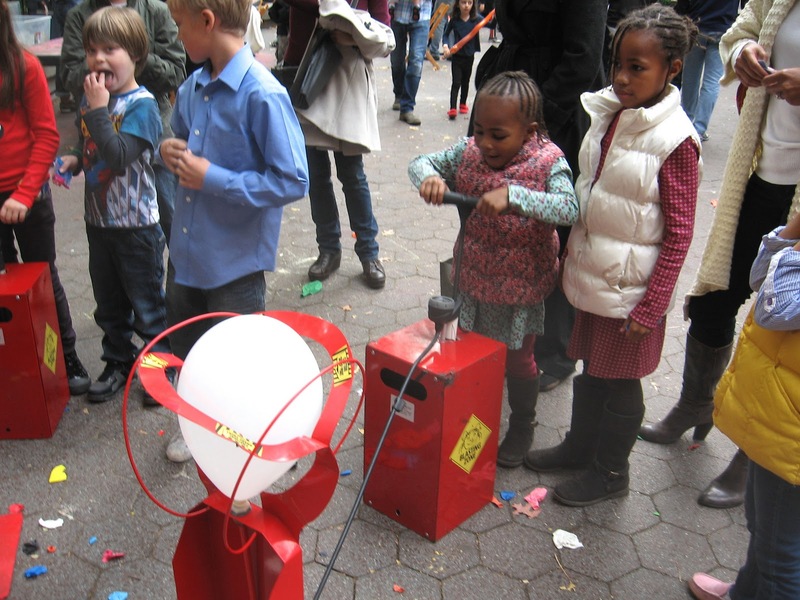 This popular contest features two kids vying against each other to see who will be the first to pump up their balloon till it pops. Every time a balloon burst, it was incredibly loud and very satisfying. 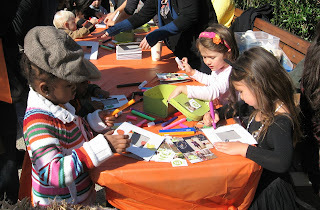 Saturday, the Harvest Festival at Brooklyn Bridge Park was also a big hit. 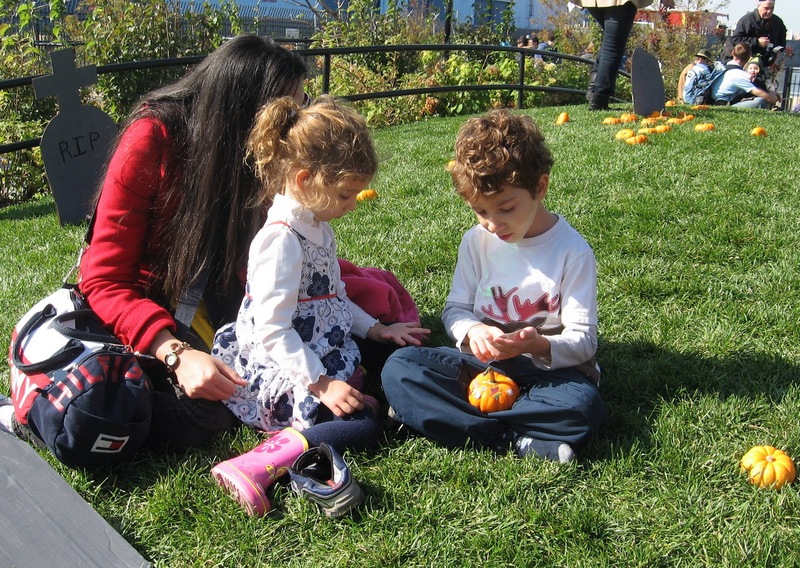 Families by the hundreds trekked to the fall Harvest Festival at Brooklyn Bridge Park's Pier 6 Saturday morning. There was a sweet little pumpkin patch on a grassy hill, which toddlers loved, along with activities like arts and crafts, face painting, and pumpkin decorating. Kids decorated picture frames in an activity provided by Half Pint Kids. Ditch Plains (Drop-In) fried up mini-dogs. The Deedle Dee’s provided entertainment. 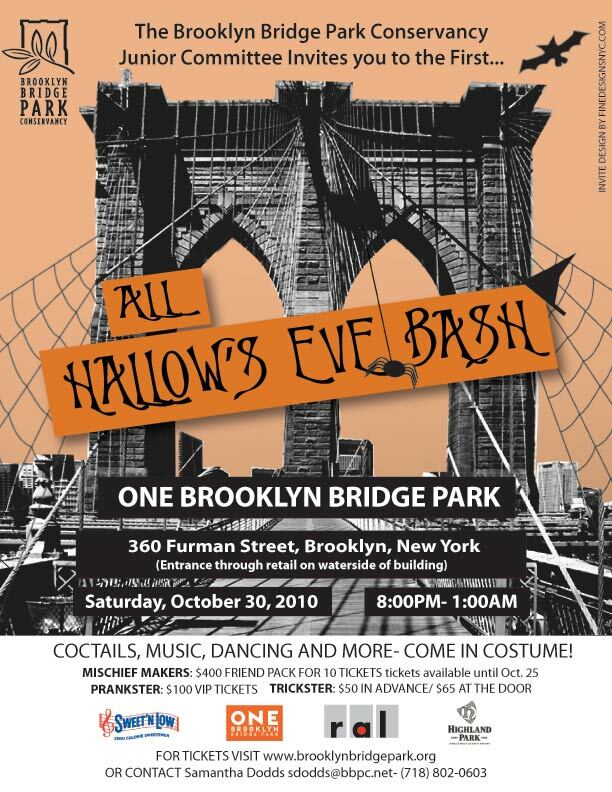 It was one of the first of several Halloween-themed events taking place in Brooklyn this weekend. Halloween starts early this year, with two full weekends of events, especially for kids. 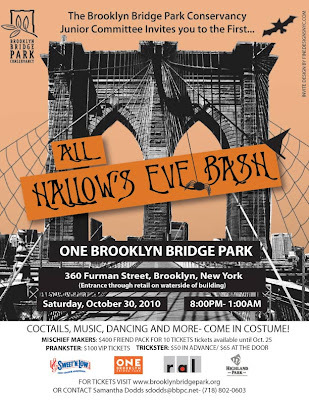 On Saturday there's a Harvest Festival at Brooklyn Bridge Park's Pier 6, the Gravsend Inn Haunted Hotel at City Tech (pretty impressive, even for grownups), Halloween plays, a pumpkin patch fest, spooky stuff at the NY Aquarium, Ghouls and Gourdes at the Brooklyn Botanic Garden and Packer's Pumpkin Patch festival. Have kids? 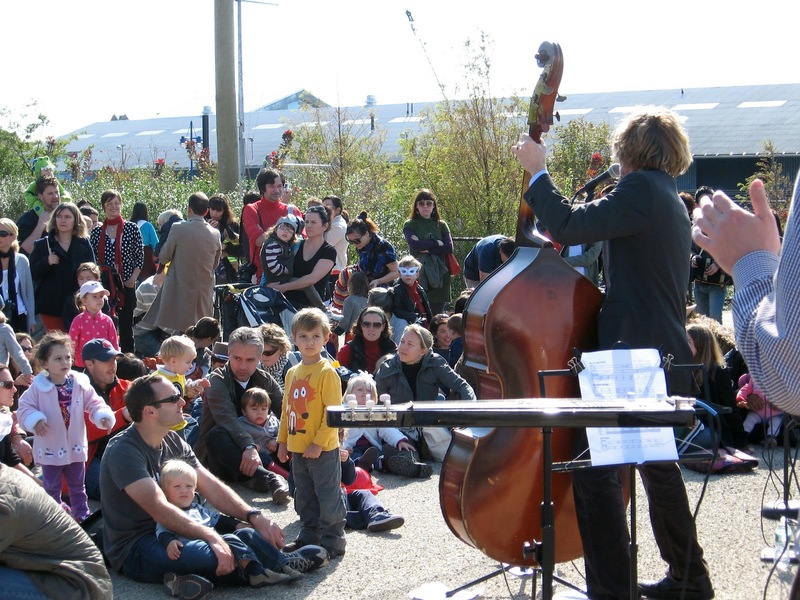 Don't forget to get down to Pier 6 tomorrow for a celebration of fall (and one of the first Halloween celebrations) at the Brooklyn Bridge Park Conservancy's Harvest Festival. 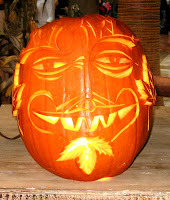 There will be a Halloween parade, musical guests, face painting, storytelling, art activities, and pumpkin decorating. 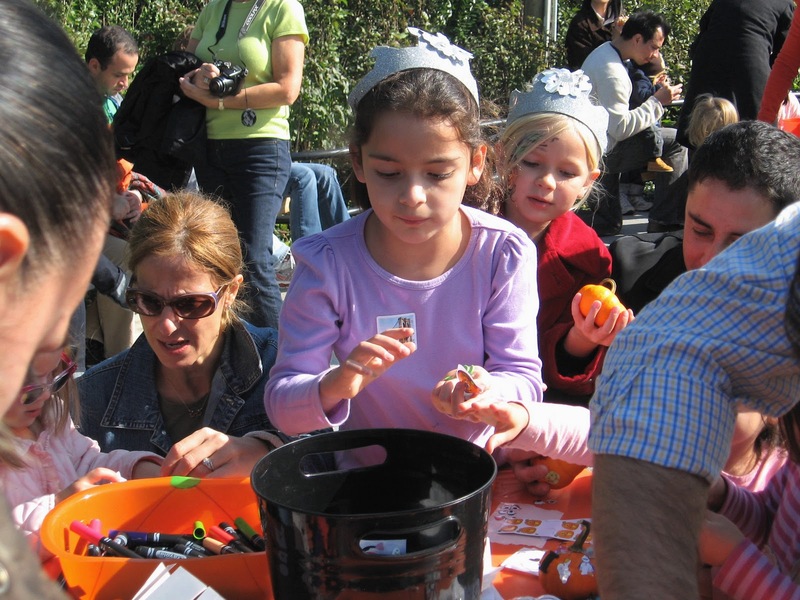 Children will pot plants in honor of "It's My Park Day," and make masks for Halloween. On the stage: The Deedle Deedle Dee's and a storyteller will perform. The Transit Museum, Brooklyn Historical Society and American Ballet Theatre will host tables, and Half Pint Citizens will be in the sandbox leading a fun family craft activity, Autumn Leaves Picture Frames. 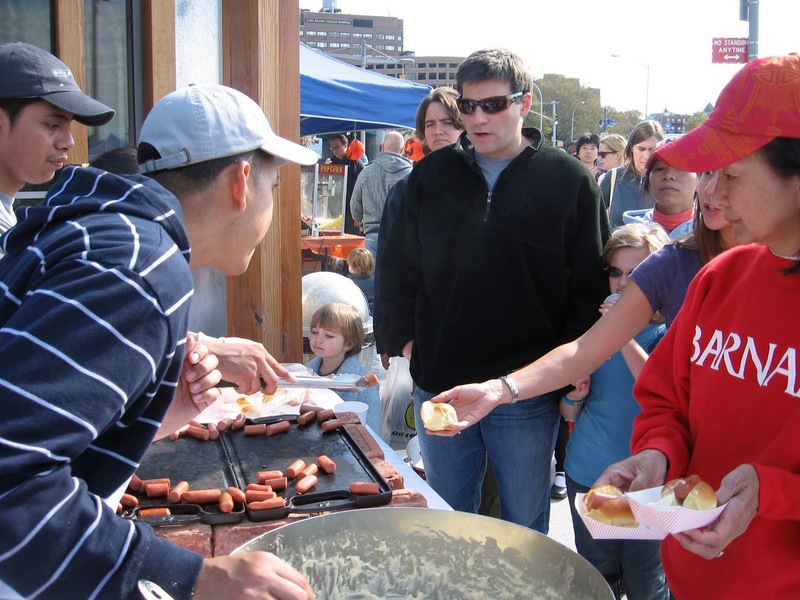 Various other local organizations and partners will host activity tables. The Moxie Spot will also bring their Halloween bags for children to decorate and the Pier 6 dog run volunteers will host a fun activity for your pooch. 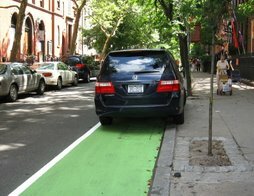 - More than 60 comments (so far) about the Prospect Park West bikelane protests at Brownstoner. So we took a stroll inside the Toys "R" Us pop-up store on Jay Street in Downtown Brooklyn the other day, just because it's been a long time since we've been in a Toys "R" Us. 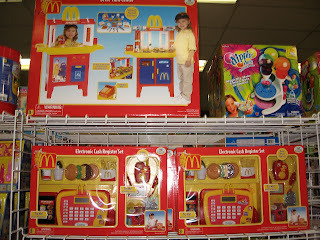 Above: McDonalds fast food counter toys -- now your kids can put on the McDonalds hat and practice slinging burgers and fries like a real McDonalds worker! If you buy both sets your child can set up a McDonald's grill, fryer and soda machine at home -- plus a golden arches counter and a drive-thru intercom. And yes, the cash register "really rings." What a wonderful way to prepare your child for his or her future career! 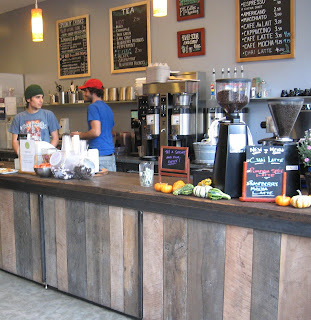 The Ecopolis Café at 180 Smith (at Warren) in Boerum Hill sells "local sustainable food and drinks" and organic teas. The café uses biodegradable and recycled paper, recycles materials and composts scraps. 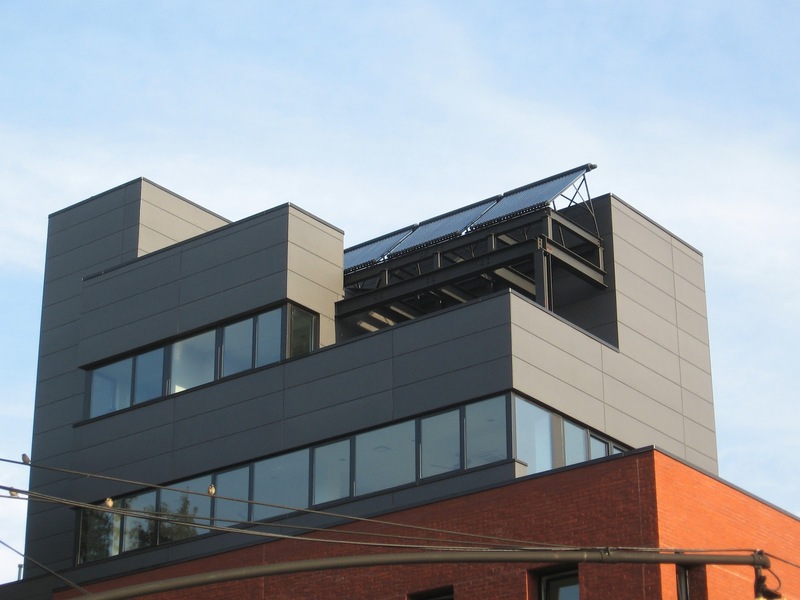 This bar is made from salvaged materials, and power come from solar panels on the roof. The whole building is made from "eco-friendly materials and features energy efficient systems," according to the Brooklyn Ecopolis website, which also says that the Brooklyn Ecopolis Resource Center will provide programs and exhibits for children and adults, "involving all members of the community in practical and realistic ways, to engage and promote sustainable living." Say you're a dog walker, tutor or a handyman -- in other words, one of New York City's unsung service entrepreneurs. A new website called SkillSlate provides a place for you to list your service(s), price, geographical area and customer reviews. SkillSlate, in an email, tells us they have 650 service providers in Brooklyn "and growing," and they just announced $1 million in venture funding yesterday. So far, there are ten categories of services covered: cleaner, DJ, dog walker, hairdresser, handyman, massage, mover, personal trainer, photographer, and tutor. The website is new so there are only a few reviews so far. It's funny how seeing a photo of the service provide might influence who you will call. Also, it's amazing to see the big difference in rates. One dog walker charges $75 an hour; another charges $20. SkillSlate appears to be very helpful to both service providers and those looking for one. Check it out. 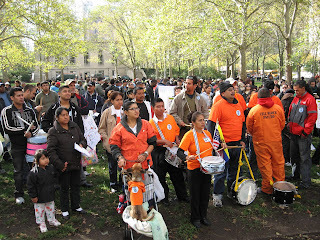 Hundreds of immigrants gathered in Cadman Plaza Park in Downtown Brooklyn yesterday for a rally and a march over the Brooklyn Bridge to City Hall to protest what they call unfair deportations. Make the Road New York (MRNY), which sponsored the march, says that each year the city's Department of Corrections assists Immigration and Customs Enforcement in transferring 3,000-4,000 New Yorkers into deportation proceedings. MRNY says if you are arrested and unable to produce immigration documents -- even if you are wrongfully arrested and acquitted of all charges -- you could still be placed in deportation proceedings. 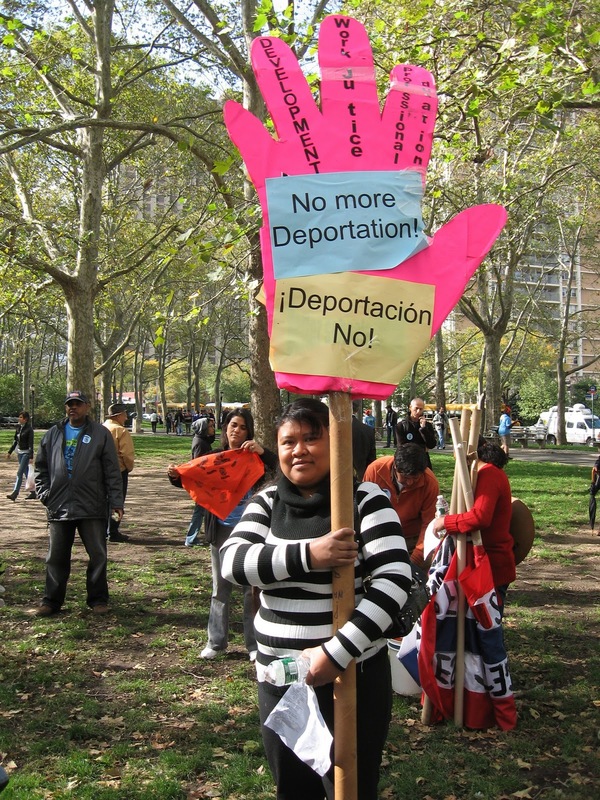 The group is demanding that New York City opt out of the federal "Secure Communities Program" whereby local and state police can check the immigration status of those in their custody. The government says the program has successfully removed thousands of alien criminals from the U.S., but civil rights workers say many non-criminal immigrants are swept up and out as well. Date shows that "police officers are picking up people on pretext, the criminal charges are getting dropped or dismissed, and they’re getting shuttled into deportation,” said Bridget Kessler, clinical teaching fellow at the Immigration Justice Clinic of the Benjamin N. Cardozo School of Law. More here. Also see the Brooklyn Eagle. 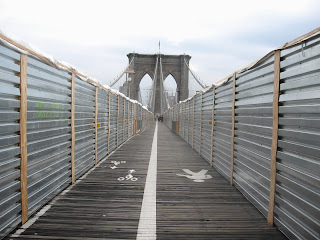 If you're walking or biking over the Brooklyn Bridge nowadays, you might feel a little claustrophobic, especially on the eastern stretch. 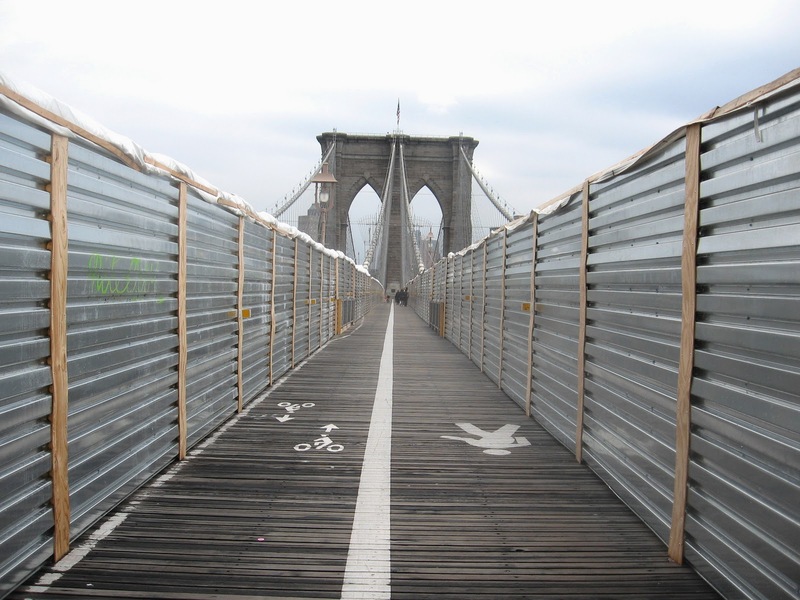 That's because you'll be penned in by galvanized steel containment shields, built to protect pedestrians and drivers from lead paint dust blowing around as part of the bridge's massive $508 million paint and repair job. 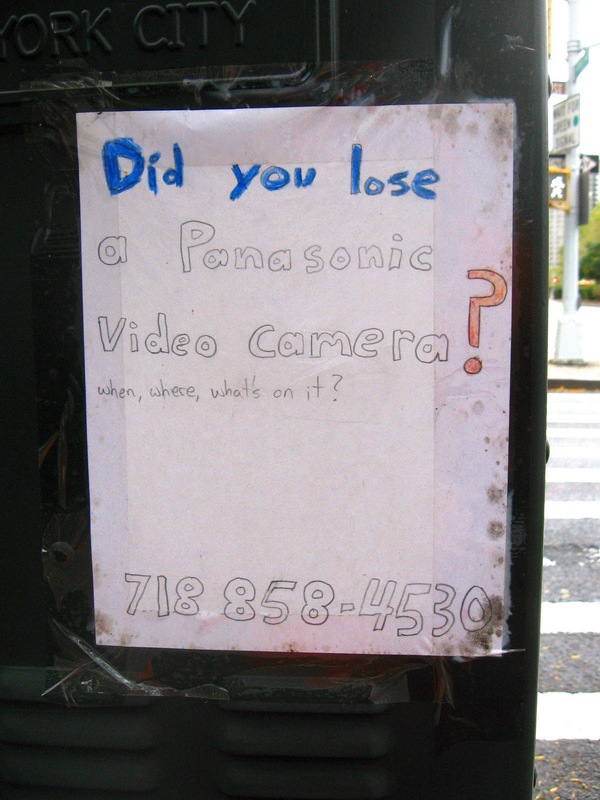 Did You Lose a Panasonic Video Camera in Brooklyn Heights? 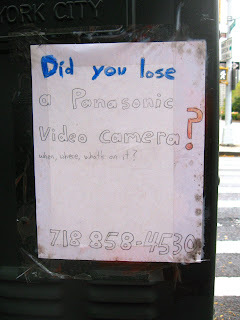 These signs have been hanging on Cadman Plaza West for weeks. Come on already, go pick up your camera. It's your traditional Greek diner but tiny, with just a few tables. The guy behind the counter looks like he's worked in diners all his life. You got your basic sandwiches, your wrap specials, your baked moussaka. Breakfast all day, four soups daily. Cakes, smoothies, coffee. The Greek salad comes with anchovies and dolmadakia. The health salad comes with jello. 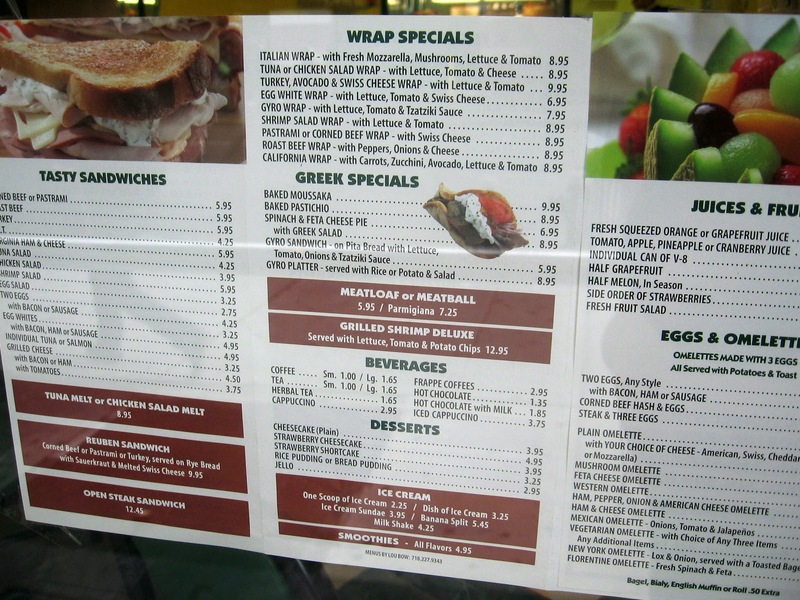 Many items are quite reasonably priced: You can get a chicken salad sandwich for $3.95, egg salad for $3.25. On the other hand, the Gyro platter is $8.95 (served with rice or potato and salad) and you can go crazy with a "Popeye Salad: ALL THE WAY" -- spinach, crumbled bacon, sliced egg, tomato, artichoke and mushroom, croutons, topped with roast beef or turkey breast -- for $10.45. A wrap can cost up to $8.95. But coffee is a recession-friendly $1. 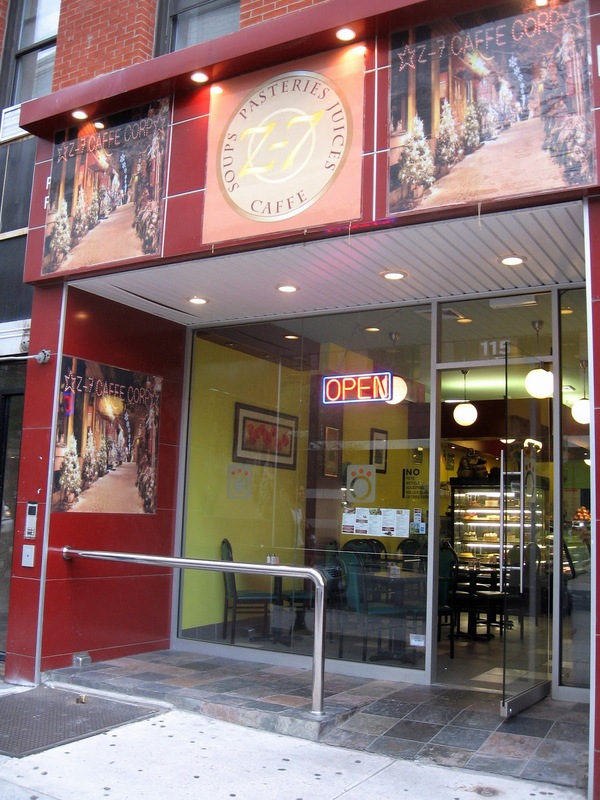 A bagel is $1 or $1.65 with cream cheese. A two-egg sandwich is $2.75. Get yourself a grilled cheese for $3.25 or splurge on meatloaf for $5.95. Enjoy. More at Brownstoner and Brooklyn Heights Blog.